The first purchase of a Boeing 747 was for $22 million, which was the combined value of all US airlines at the time. The price of a single 747 engine cost more than a single Lockheed Constellation. In only 55 years, we went from Lindbergh crossing the Atlantic to over a million passengers a year making the trip for less than half the price of a 1927 ocean liner voyage across the Atlantic. 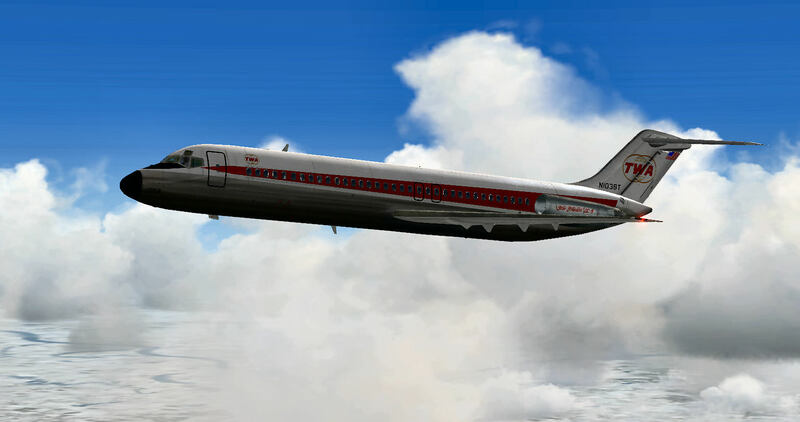 The DC-9 is such a great plane. Absolutely love it. I didn’t know there had been a freighter version. Thanks for the post and sharing your work. Very nice. I’ve started logging into the mumble server again when I fly if anyone is around, hop in. Is there a way to display who is on the server on the TWVA homepage? Welcome aboard Austin. Don’t think we didn’t notice you made landing rankings on the front page. You have another pilot to compete with Howard. GALLERY / Re: Sometimes, you just have to scratch the itch ! Went to the TWA museum. It’s located in the TWA headquarters building at KMKC. It’s all still there. The building is owned by a fractional ownership company, but it’s exactly the same building. Jack Frye’s office on the second floor. The original hangar for maintenance in the DC-3s. So much history. Stopping by both the TWA and national airline museum in Kansas cuty timorrow. Anyone been to either? Either worth the admission price? HANGAR/DOWNLOADS / Re: Can we substitute the Boeing 377 for the 307? Place of the 307. I like the A2A model of the 377, but I am not fond of the calclassic planes. I like this weathership gauge for transatlantic crossings, but found out today that they also have ships in the Pacific. It can be used for KSFO to PHNL and for trips to Japan. If you haven't downloaded it from Avsim for your propliner, you are missing out. The 307/377, DC-3, DC-4, DC-6, and Connie all have panels set up for it. During the war there were ferry flights across the GIUK gap by the D.C.-3 and I had no idea. I always thought the distances were too long. Amazing to read about this stuff as I fly for TWAv. 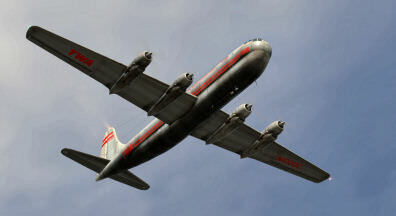 How about a wartime ferry flight as an event, or across the pacific in a Connie? Man, this airline has me excited to learn more about the history during and after the war in air travel. Thank you guys for keeping the history alive with this VA and Ozark!